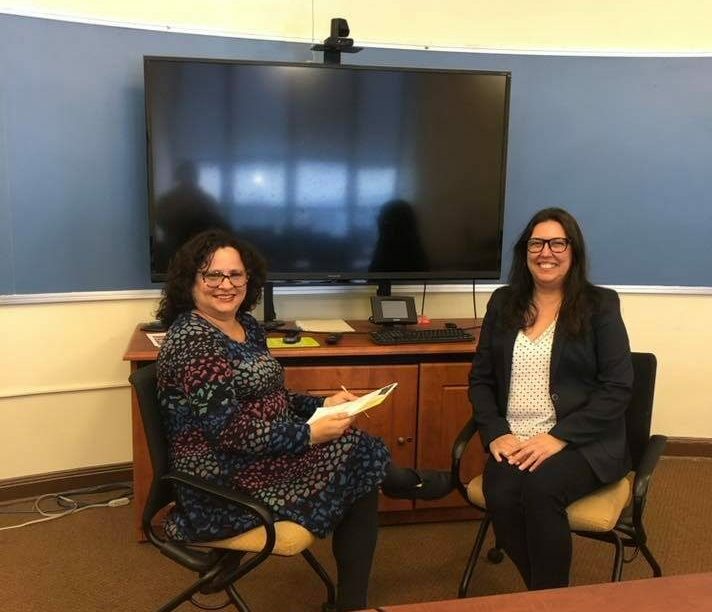 Prof. Edmea Santos, Associate Professor of Cyberculture from Rio de Janeiro State University spent time with LED research group to explore future research collaborations as well as a possible graduate student exchange with Brazil. She plans to return to OSU as a visiting scholar next year. 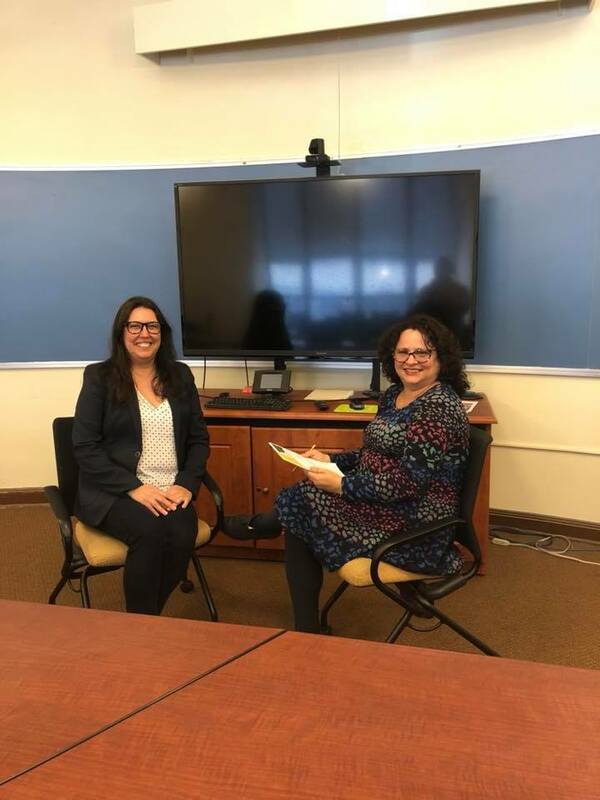 Santos interviews Correia on issues and trends in online learning and teaching. 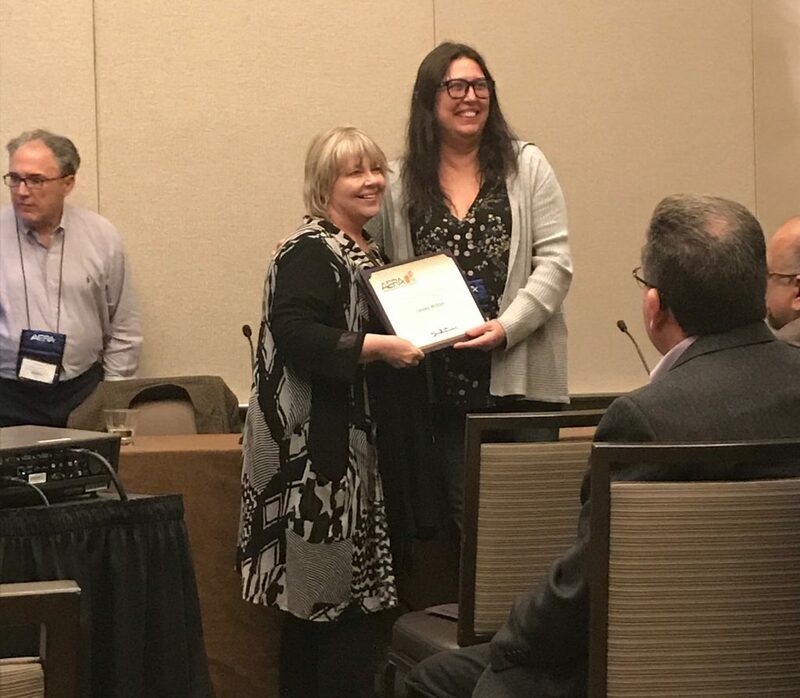 Ana-Paula Correia actively participated at the American Educational Research Association (AERA) annual meeting in NYC in April. She joined the paper session on “Considerations on the Design of Online Learning Events,” co-led Special Interest Group Online Teaching & Learning (OTL) business meeting, was the Discussant for the Symposium on Social Presence in Online Learning, and networked with her many colleagues and friends. 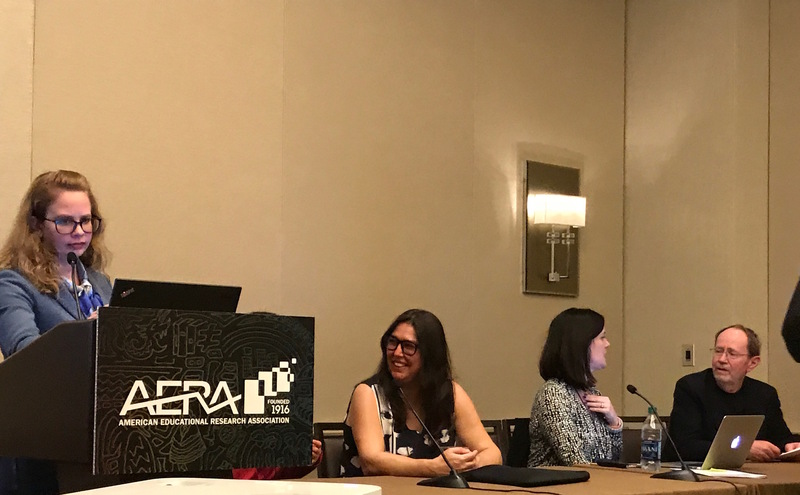 LED group is now working on research proposals for the 2019 AERA annual meeting in Toronto! 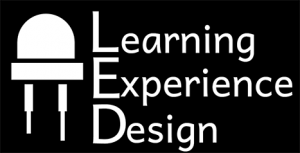 Speaking at the “Considerations on the Design of Online Learning Events” session. Presenting awards at OTL business meeting. On 6 April 2018 at 11:00 AM, Karen Bruce Wallace presented the final product for her practicum at Nationwide Children Hospital. 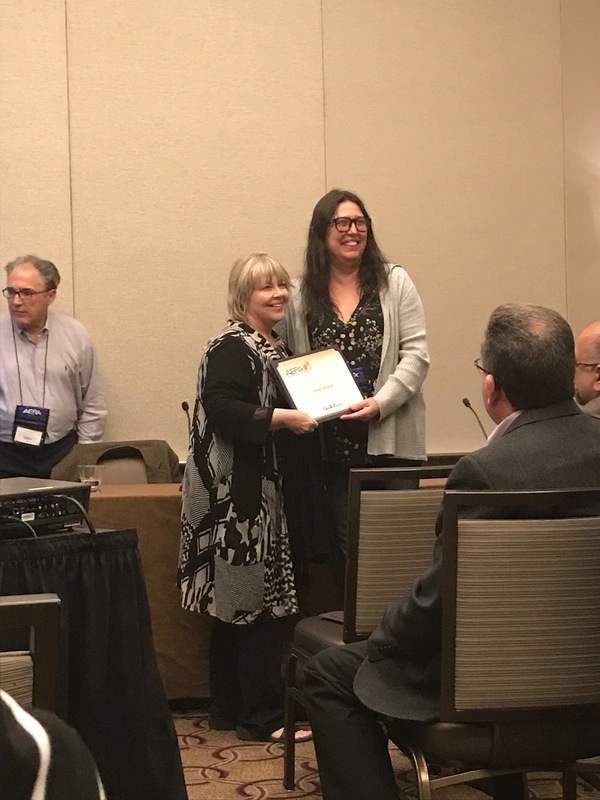 In attendance were the members of NCH with whom she had worked closely during the practicum: Dr. Tamara Wallace and Dr. Erin Keels from Neonatology, and Jena Hoover and Vian Saggio from Organizational Development. They were joined by Karen Heiser, the Vice-President of Education; Patricia Barr, an Education Coordinator; and Kimberly Cromwell, the Director of Organizational Development. 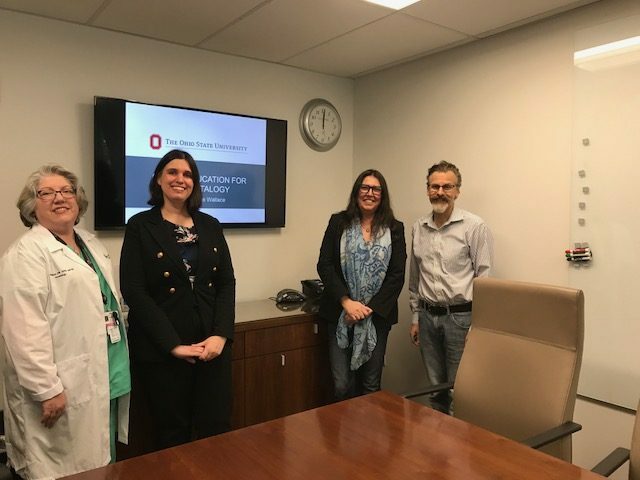 In addition, her advisor Dr. Ana-Paula Correia and her second reader Dr. Rick Voithofer came to observe the presentation. Immediately after this presentation, Bruce Wallace successfully defended her practicum project, and completed one of the major requirements for the MLT. She defended the work to Correia and Voithofer, who both felt that it had raised the bar for MLT projects. If you are curious about the MLT practicum, you can read more about Bruce Wallace’s experience in her portfolio.